The Branson Beauty, an old showboat, has crashed in the waters of an Ozark mountain lake just outside the popular tourist destination of Branson, Missouri. More than one hundred people are trapped aboard. Hank Worth is still settling into his new role as county sheriff, and when he responds to the emergency call, he knows he’s in for a long winter day of helping elderly people into rafts and bringing them ashore. He realizes that he’ll face anxiety, arguments, and extra costs for emergency equipment that will stretch the county’s already thin budget to the breaking point. In her captivating debut novel, Claire Booth has created a broad cast of wonderfully compelling characters, and she perfectly blends humor with the emotional drama and heartache of a murder investigation. CLAIRE BOOTH is a former true crime writer, ghostwriter, and reporter. She lives in California. 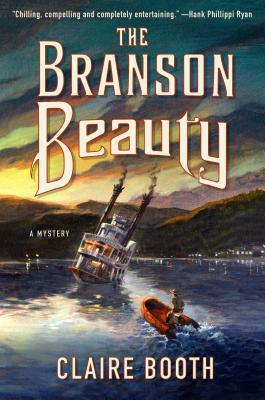 The Branson Beauty, featuring Sheriff Hank Worth, is her first novel.